Relatively minor changes bring Numbers in sync with its Mac counterpart as well as Pages and Keynote for iOS. 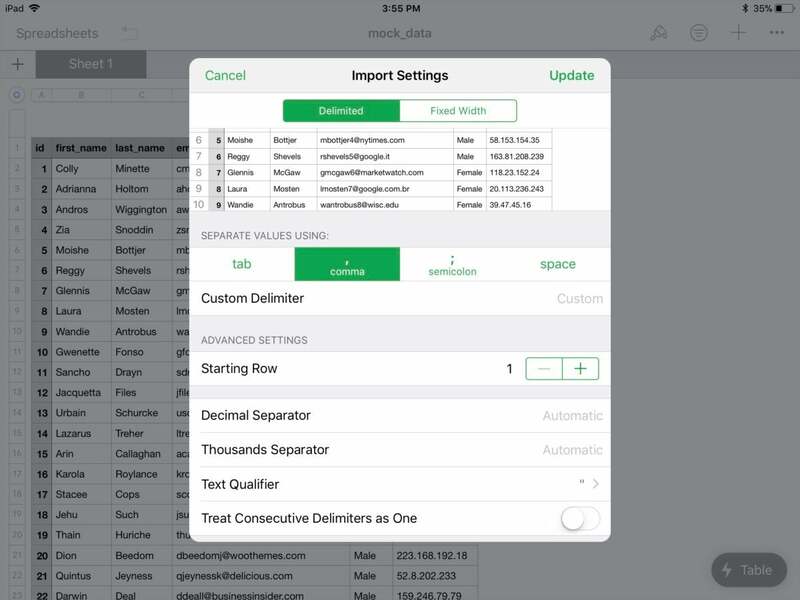 Numbers handles imports of large amounts of data and ably works with large spreadsheets. Apple views Numbers for iOS as a tool for visualizing and presenting data, rather than as a workhorse spreadsheet app. But the latest update offers improvements on both sides of that equation. While not piling on features, Apple has brought the iOS version more in line with the Mac version, as well as harmonizing features with Pages (Mac and iOS) and Keynote (Mac and iOS) for consistency. This kind of parity and consistency means less frustration when moving among apps and between platforms. Numbers 4 for iOS adds only two real flagship changes, although the importance of one of them is buried. The company promotes the addition for drawing using an Apple Pencil or your finger on iPads that Pencil. Because Numbers sheets can be quite elaborate and used for presentation purposes, I can understand adding drawing options, which are now found in all the iOS productivity apps—though they make more sense in Pages and Keynote. But the second flagship addition is in a short bullet point in the “what’s new” list: “Improved, customizable import of CSV and text data, with support for custom delimiters and fixed width files.” For people trying to use Numbers in more powerful and sophisticated ways, despite the many ways in which it falls short of Microsoft Excel and Google Sheets, this is a big one. When exporting data from a database or a website, you often have the option to have it dumped in a field-based format, so you can import it into another database, into another service’s API, or use it with a spreadsheet app. 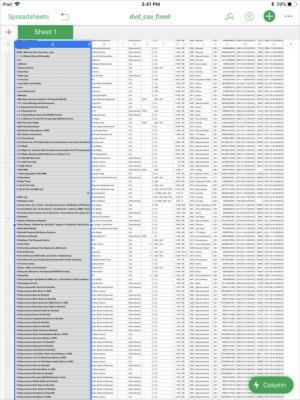 CSV (comma-separated values) and text formats are common, but have a lot of variations. Until now, if what you were trying to import into Numbers didn’t fit Apple’s notions of parsing that data, you had to use another piece of software—like BBEdit or a script—to preprocess your export and massage it to Numbers’ needs. An new Import Settings option lets you customize and massage imports, requiring less preprocessing and other work. For parity with previous versions of Numbers for Mac, Apple now offers conditional cell formatting, which lets you create style rules (like italic, a background fill, or type color) based on evaluating the values in a cell. It also brings in sorting and filtering options previously in the Mac version, allowing you to chain together a series of sorts to produce a more sophisticated ordered results, and add multiple filters to create a kind of summary report of data instead of viewing everything in a sheet. Numbers for iOS now supports conditional cell formatting, which brings it into parity with the macOS release. As with updates to the other Mac and iOS apps, Numbers gets donut charts, new insertable shapes that can be edited, and support for collaborative editing via the third-party Box document-sharing service. Though seemingly a little out of place, you can also insert an image gallery into a Numbers sheet, just as in Pages or Keynote, although you can only move through these images within a Numbers document; there’s no way to export it for interactivity. Numbers for iOS now matches the macOS version in most important ways, making it a much better complement and standalone app. It still has a long way to go to meet features in competing iOS and Web app spreadsheets, but as a baseline for most people, Numbers now encompasses more people’s needs for importing, sorting, and viewing organized data. This revision adds drawing features to Numbers, but mostly focuses on making the app a full-fledged alternative and handoff to Numbers for Mac.